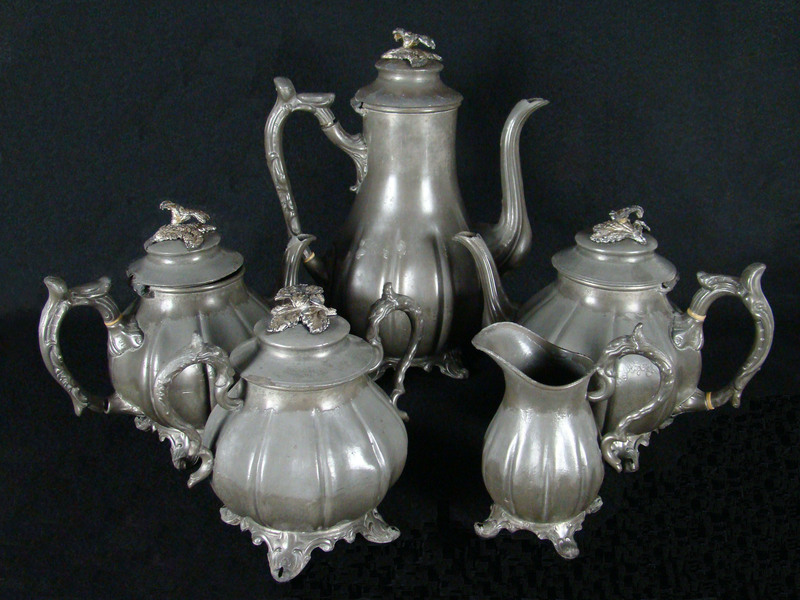 Dr. Samuel Mudd’s family tea and coffee service, made by James Dixon and Sons between 1842 and 1851. 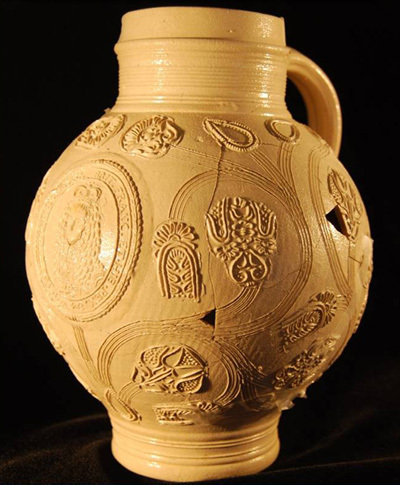 The mended Rhenish Hohrware jug found at Westwood Manor (18CH621). This magnificent Rhenish stoneware jug was recovered from Westwood Manor (18CH621), the residence of planter and innkeeper John Bayne, who lived in the Zekiah Swamp in Charles County in the late seventeenth century. Although the Zekiah was a sparsely settled frontier region on Maryland’s western shore at this time, a number of community institutions—public roads, houses of worship, mills, general stores, and a courthouse—had developed in the Zekiah by the end of 17th century (Strickland and King 2011; Alexander et al. 2010: 21-22), creating a landscape of interconnected people, plantations and community services.